GARDENA — The June event for the Nikkei Socials is the Japan and Ondo Night on Saturday, June 3, at the Nakaoka Center, 1700 W. 162nd St. in Gardena. The event will start at 6 p.m. with dining on bento, which will have been previously ordered. There will be a one-hour dance lesson, with paid admission, on the East Coast Swing, which will begin at 7 p.m. and is taught by David Shinjo, noted dance instructor, who will also be the DJ for the evening. Regular dancing, which starts at 8 p.m., includes ballroom, swing and line dancing, as well as mixers. 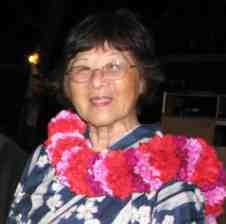 Ondo dancing will be led by Mitzi Shimizu after a brief regular dance period. All attendees are encouraged to wear ondo-related attire. The optional bento dinner may be ordered by contacting Shiz Nakasone at (714) 392-4790 or Lynn Isomoto at (310) 327-4961. Last day to order is May 26. The charge for bento is $10, with a discount for members. All levels of dancers are welcome, as well as singles and couples. Admission is $10 for members, $12 for non-members. For additional information or to reserve a table for six or more, email [email protected] or call Nakasone at the above number. Come eat and enjoy doing the ondo with the Nikkei Socials.